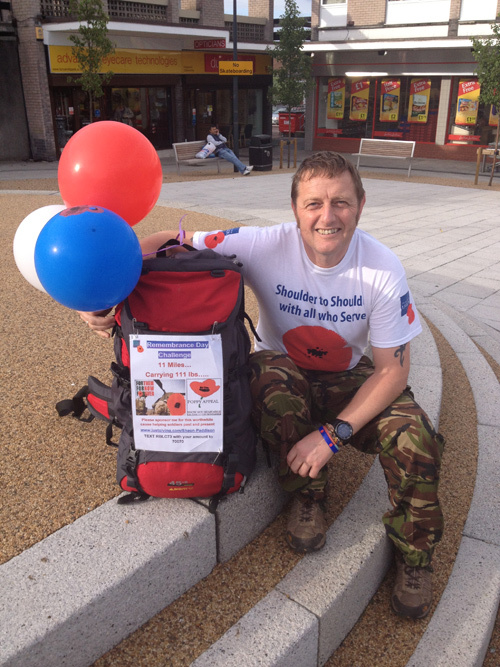 EX-SERVICEMAN Shaun Paddison has become the face of this year’s Staple Hill Poppy Appeal after pledging to walk 11 miles carrying 111lbs on Remembrance Sunday. 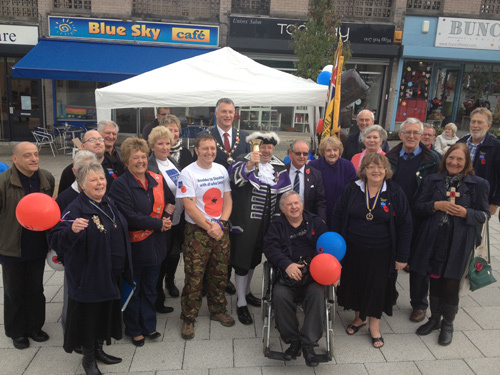 Shaun, 43, attended the launch of Staple Hill Royal British Legion’s 2013 poppy appeal in Fountain Square last week. The former member of the Royal Logistics Corps has been in training with his heavyweight backpack since July and will embark on the challenge from 6.30am on Sunday November 10. He will be walking an 11-mile route from Chipping Sodbury to Staple Hill where he will join the parade to the Cenotaph at Page Park for the 11am service. 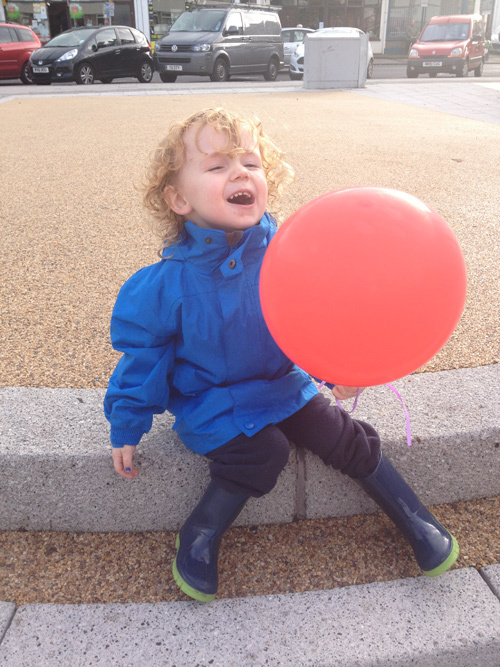 To sponsor Shaun please visit www.justgiving.com/Shaun-Paddison or text RBL C73 with your amount to 70070.